Last week, USA Today senior technology writer Jessica Guynn called out cybersecurity technology giant RSA for having only one woman speaker at its event – anti-bullying activist Monica Lewinski. The RSA Conference is one of the world’s largest security gatherings. In my February post, 10 Women in Technology to Keynote Your Next Event, I included RSA CMO Holly Rollo – along with nine highly qualified, experienced women speakers who could also have keynoted the event. “If you’re building security and privacy for everyone, you have to account for a huge spectrum of people’s circumstances and concerns about their data. You also need to take advantage of the full spectrum of talents and perspectives available if you want to come up with the best solutions. RSA said it’s speaker line up consisted of 80 percent men and 20 percent women. That ratio, the company says, reflects the conference attendance. I’d bet a lot of money that the conversations while planning for this conference were about revenue. And revenue comes from making attendees happy. Eighty percent of which are male. However, RSA is missing a goldmine of an opportunity here. By looking at how to please 80 percent of its conference attendance, it’s leaders are being incredibly short-sighted. They have an opportunity to use their conference as a platform to tell a much bigger story and they’re failing miserably. Cybersecurity isn’t just about hardware and software, it’s about the safety of human beings. It’s about the horrific things that happen online to teens that lead them to commit suicide. It’s about hacking the private information that makes consumers not trust retailers. And remember, women either buy or influence the purchase of 85 percent of all consumer goods. RSA has a chance to speak to a much bigger, much more influential audience. An audience that’s largely made up of women. And you don’t reach that audience by making excuses about the speakers you have at your event. RSA and other event planners say they can’t find enough women speakers because there aren’t enough women in the industry. (Kudos to the women who created the alternate tech conference.) Which leads me to the topics of this month’s post. The Wall Street Journal reports that in today’s workforce, women make up 46 percent of the entry-level group but only a handful land in the C-suite. I believe that diversity in the workforce has to start with a diversity in the group that’s the gatekeeper of people coming into companies – human resources. As we add a greater diversity of voices to this conversation, it’s important to look at the point of view that experts in employee recruitment, talent recognition and diversity have. That’s why I tapped Michelle Smith, former vice president of marketing for O.C. Tanner, about what it’s meant to her to be a keynote speaker. Here’s what she had to say. What was the biggest personal fear about speaking that you had to overcome? I worried I’d stumble over my words, prepare too much or too little content, and my presentation wouldn’t be well-received. While these concerns are perfectly natural and must be overcome, I’ve learned that focusing on ourselves diverts our attention away from what’s really important to becoming a sought-after speaker. It’s the audience that should be our primary focus, and our energies should be largely directed to ensuring we meet their needs and create a positive experience for them. How long did it take you to feel confident as a speaker? Once I realized that it wasn’t all about me, I relaxed. Audiences want you to succeed – if you speak about what you know, are authentic and enthusiastic in your delivery, they’ll forgive minor stumbles. Those who come to see you speak want to see a real, relatable person who connects and engages with them. 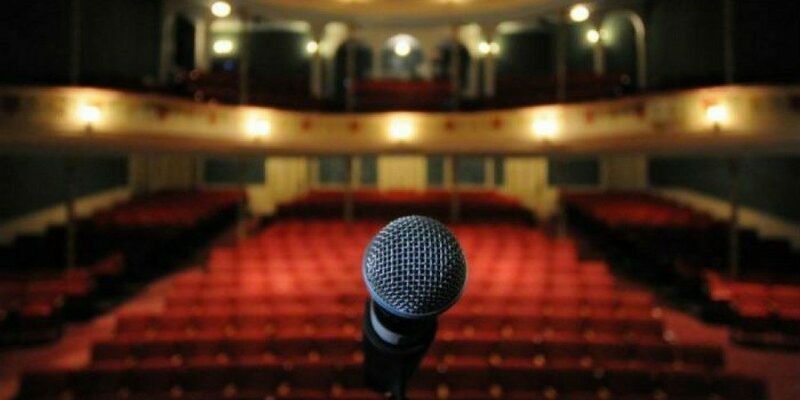 There’s a big gap in some women’s perception of how good a speaker they are now (most are better than they give themselves credit) and how good they need to be to take the stage. What advice do you have for them? Speakers must prepare to be successful – it’s the best defense in calming nerves and setting yourself up for victory. If you’re serious about speaking well, coaches can provide a wealth of tips and insights to help you; and will certainly provide candid feedback about your readiness to step in front of an audience. I’m also a member of the National Speakers Association and have found the benefits of membership to be invaluable throughout my career. The association is a great place to connect with a great coach too. Also, customizing your presentation – even slightly – to each audience is another way to build confidence and improve the audience’s reaction. The effort you invest in customizing terminology and stories to be uniquely relevant for each audience will pay off handsomely in developing greater rapport with attendees and insuring they receive the maximum benefit from your remarks. What’s one piece of advice that would help make it easier for event planners to connect with great women speakers and vice versa? You must be proactive in developing the networks you need. Event planners can tap into Speaker’s Bureaus and associations like the National Speakers Association to find speaking professionals who are proven and serious about their craft. Likewise, speakers can build a network of event planners and utilize published lists of events all around the world to discover new venues for their content. HR professionals are about finding great people and helping them succeed. Here are 10 women in human resources who look to recruit, grow and recognize diversity in talent that event planners need to have on their radar. 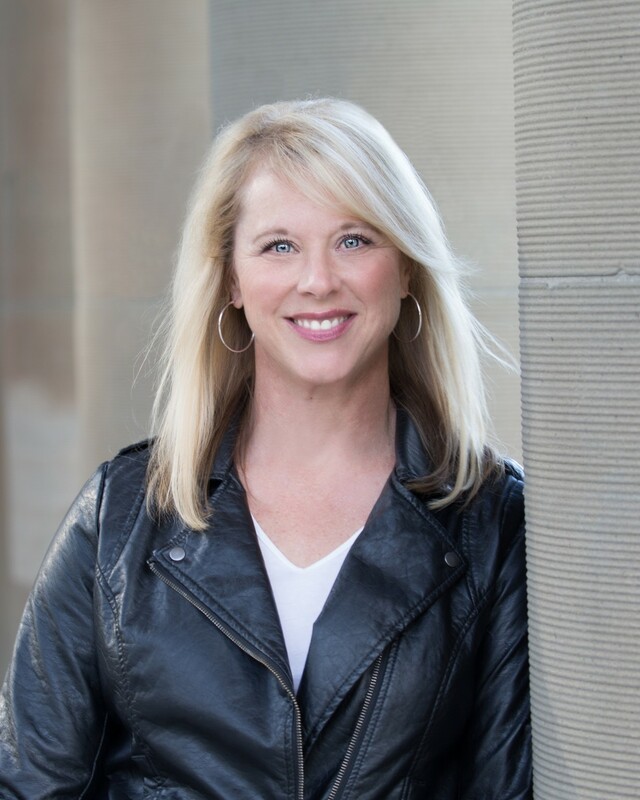 Named one of the Ten Best and Brightest Women in the incentive industry, a Change Maker, Top Idea Maven and President’s Award Winner, Michelle is a highly accomplished international speaker, author and consultant on performance improvement. A respected authority on leadership, talent and employee engagement, she’s a trusted advisor to many of the world’s most successful organizations, and the governments of the United States and the United Kingdom. Michelle was the Founder and Chair of the Editorial Board of Return on Performance magazine, and has been featured on Fox television, the BBC, Fortune, Business Week, Inc., and contributed to the books Bull Market by Seth Godin, Content Cows Still Give Better Milk and Social Media Isn’t Social. Read more on LinkedIn and follow her on Twitter. As senior vice president of human resources, communications and corporate affairs at Ingersoll Rand and a member of the company’s enterprise leadership team, Avedon has global responsibility for all aspects of human resources and also oversees the company’s corporate communications, branding, government affairs and community relations. She serves a number of professional, community and academic organizations, including the Boards of Directors for the Center for Creative Leadership, the HR Policy Association and the Cornell University Center for Advanced Human Resources Studies. She is the inaugural chair of the University of South Carolina’s Center for Executive Succession. Among her many awards, Avedon was recently recognized as one of the Most Powerful Women in Human Resources by Human Resource Executive magazine, and in 2013 was elected a Fellow by the National Academy of Human Resources. Read more on LinkedIn. Brown Morton leads Chevron’s HR programs and policies for employee relations, compensation, benefits, safety, performance and staffing levels. Before Chevron, she was the CEO of Nonprofit HR, a company she formed after working at nonprofits and seeing that no one served the market. Throughout her career, she’s elevated the voice and role of HR professionals, pointing out they need to combine empathy with technical knowledge and business savvy. She told Software Advice, “We simply need to show up ready and informed with data that will drive business decisions. When we do that, folks will wonder why we didn’t show up sooner.” With an incredibly diverse background, she not only speaks the language of business and HR, she’s also fluent in four languages (English, French, German and Spanish). Read more on LinkedIn. It’s hard to beat how Forbes magazine describes Buckingham. “Ask anyone who knows Buckingham and you’ll find out why Lincoln CEO Dennis Glass is thankful she’s on the LFG team. Tough, creative, smart, insightful, compassionate and very accomplished, Buckingham is a walking human omni-channel brand. In addition to serving as Lincoln’s CHRO, she is also the company’s Chief Brand and Communications Officer. LFG has established itself as a powerful employer brand, and a company with a strong and stable culture. A solid strategic mind, and innovative thinking around talent and leadership will likely carry Buckingham all the way to the CEO chair assuming she could be priced away from Lincoln – she is fiercely loyal.” Read more on LinkedIn. As the president of ITM Group, Lauby develops training that engages and retains talent in the workplace. She also tapped the power of social media to raise her profile as the author of the well-known HR blog, HR Bartender. She uses the platform as an open forum for professionals to talk about work-related issues. Read more on LinkedIn and follow her on Twitter. 6. Mirian Graddick-Weir, Executive Vice President of Human Resources, Merck & Co.
Graddick-Weir began at Merck in 2006 after a stint with AT&T, where she was executive vice president of human resources and employee communications for five years. She is a member of the boards of Yum! Brands Inc., the HR Policy Association (chair) and the Cornell Center for Advanced Human Resource Studies. Graddick-Weir is also a fellow at the National Academy of Human Resources and a member of the Personnel Roundtable. Among the awards she’s received are the Distinguished Psychologist in Management award in 2003, HRE’s HR Executive of the Year award in 2001, the Lifetime Achievement Award from the University of Michigan in 2012, and the 2014 Academy of Management’s Distinguished HR Executive Award. Read more on LinkedIn. 7. Johanna Söderström, Senior Vice President, Chief Human Resources Officer, The Dow Chemical Co. In her role with Dow, Söderström designs the leadership agenda, facilitates organizational transformation and enables Dow’s growth. She started her career with Ericsson in Finland working in both HR and finance. She joined Dow in 1999 as HR Manager for the Nordic region and expanded her experience through a number of positions in Finland, Germany and Switzerland. She took on the role of HR Director and serve as Managing Director for Germany before moving up to HR Director for Europe, Middle East, Africa and India. Söderström was appointed Global HR Director and Strategic Business Partner for the Performance Materials Division in 2011. The company tapped her for Vice President, HR Center of Expertise in 2012, and appointed her to her current role in December 2014. Read more on LinkedIn. Since 2006, Rushing has been chief human resources officer for Equifax, Inc., a $2.5 billion information and credit monitoring company with 8,500 employees in 19 countries. She has a global responsibility for the Center of Excellence that includes human resources, compensation and benefits, global talent management and leadership development. She also serves as a member of the Equifax Foundation board. Prior to Equifax, she served in several senior HR functions for The Coca-Cola Company, culminating in her being named senior vice president of human resources, where she led all human resource functions for the company. With a 25-plus year career in HR, Rushing has also been an active member of the Society for Human Resource Management since 1998. Read more on LinkedIn. At Duke Energy, Anderson is responsible for human resources policy and strategy, talent management and diversity, employee and labor relations, total rewards strategies and programs and business partner services. She joined Duke Energy in January 2015 from Domtar Inc., a Canada-based manufacturer of paper and personal care products. From 2010 to 2015, she was the senior vice president of human resources and corporate steward of talent for approximately 10,000 Domtar employees worldwide. She helped mold Domtar’s successful evolution from a traditional pulp and paper manufacturer to an industry leader in fiber-based products, technology and services. In addition, she negotiated an innovative four-year contract with the United Steelworkers, which included the industry’s first defined contribution pension plan. Read more on LinkedIn. In 2016, Sutton was named one of the Top Influential Women in Corporate America by Savoy Magazine. At Paypal, she leads the company towards “White Glove HR,” a more hands-on approach to HR with a focus on personally getting to know employees. In an interview on Paypal’s HR practices with Udemy for Business, Sutton said, “In the same way we seek to understand our various customer segments, we endeavor to do the same with our employees. Understanding what they value, what motivates them, what influences how they work, enables us to respond to their needs in a more direct way.” Sutton also volunteers with various groups fighting for women and minority rights. She brings this attention to Paypal as she is developing their Diversity and Inclusion program. Read more on LinkedIn.